 American Heroes Smokehouse BBQ doesn’t just serve amazing barbecue: we serve the communities we strive to become an integral part of. We are committed to hiring veterans and providing opportunities for all our employees to achieve their full potential. Our restaurants serves regional BBQ specialties, food that is uniquely American in flavor and soul. G1 Graphics is a full service, factory-direct sign company. From design, to production, to installation, our on-site facility enables G1 Graphics to provide the highest quality products at the most competitive rates. Customers have come to love G1 Graphics for our lightning fast delivery and service. Veteran Owned SDVOSB. Art To Dream For makes displaying exhibition-quality artwork affordable. For a reasonable monthly fee you can continually refresh your space with new works of art, transforming barren office and residential walls into stunning galleries. Our leasing program allows clients to select from framed paintings, limited edition giclee prints, fine art photography, sculpture, antiques, artifacts and other objets d’art to elevate and uplift their surroundings. Our art leasing program is affordable, educational, often tax-deductible, and as an added incentive, fifteen percent of every lease goes to support the work of valuable charities. Omni VIP Events is managed and operated by a team of seasoned professionals and experts. We design, create and produce memorable events where entertainers, athletes, artists, authors, heroes and others touch their fans, followers and the general public. We create events that make lifelong memories for all those in attendance. Omni Business Management provides a bottoms-up review of a business, including facility management and maintenance, as well as implementation of the agreed upon changes. Charity Alliance Group (CAG) is a for profit, professional fundraising, full service development, marketing, and corporate social responsibility consulting firm focusing on fundraising, strategic planning and implementation for your nonprofit organization. 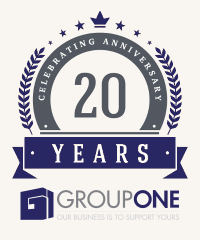 Our goal is to provide modern, proven solutions that deal with the challenges affecting fundraising efforts. We work hand in hand with your nonprofit organization to identify opportunities and remove obstacles for your success. 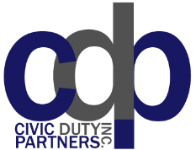 Civic Duty Partners is a New Jersey based 501 (c) 3 that promotes and increases philanthropy within the scope of Honorably Discharged Veterans, First Responders, Wildlife Conservation, and Childrens’ Causes. We actively encourage civic duty and social responsibility.